Testing lions for tuberculosis isn't easy. But the tests yield critical habitat data points. We ride along with a vet to see how it's done. This interview has been edited and condensed for space and clarity. It’s mid-afternoon at Venetia-Limpopo Nature Reserve (VLNR) in South Africa and we’re rumbling along in an open-top Jeep toward a penned off area of the park. 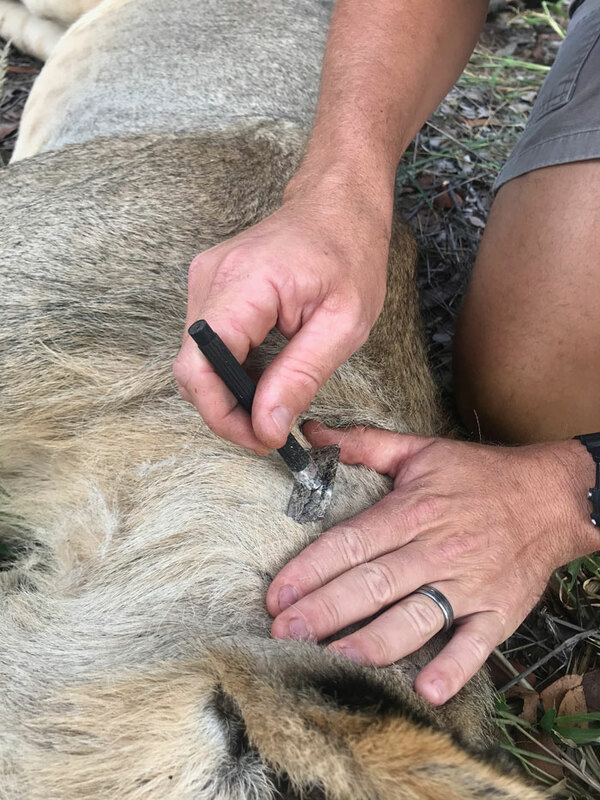 Bovine tuberculosis has run rampant recently in lion populations across South Africa and today, VLNR is testing a cross-section of its lions for the disease. 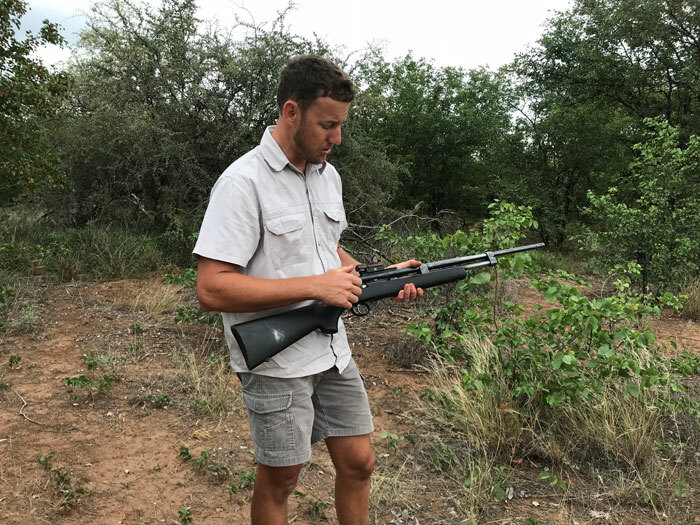 The team has taken to a helicopter earlier in the day and shot the lions with tranquilizer darts. From there, the lions were collected and moved into a fenced-off area where they can be safely tested for bovine tuberculosis. ‍A tranquilized lion being transported to the area where it will be tested for Bovine TB. 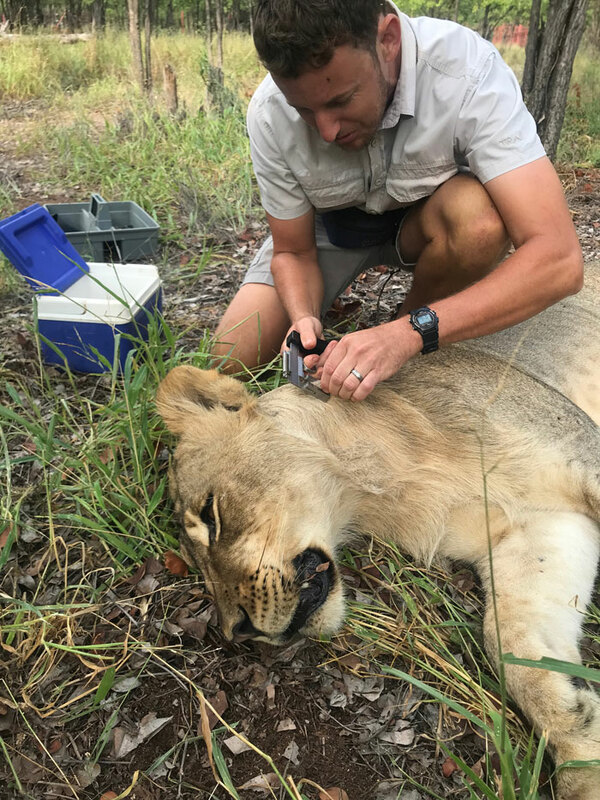 On the scene is a grouping of sleeping lions and Nico Erik Dupreez, the young and energetic veterinarian in charge of this operation. ‍Dr. Dupreez walks us through loading the tranquilizer gun. How do you put a lion to sleep in order to test it for Bovine TB? We use a dart gun that’s actually made in America. It works with 22 blanks and then it works with the gas expulsion from the gun powder that ignites it. So you control the distance the dart travels with the amount of gas by adjusting the hole size in front. So you’ve got a very small size, number 1, that could give you 10-20 meters, and then you can increase it to the biggest hole size, number 5, and the dart will travel about 50-60 meters on that. 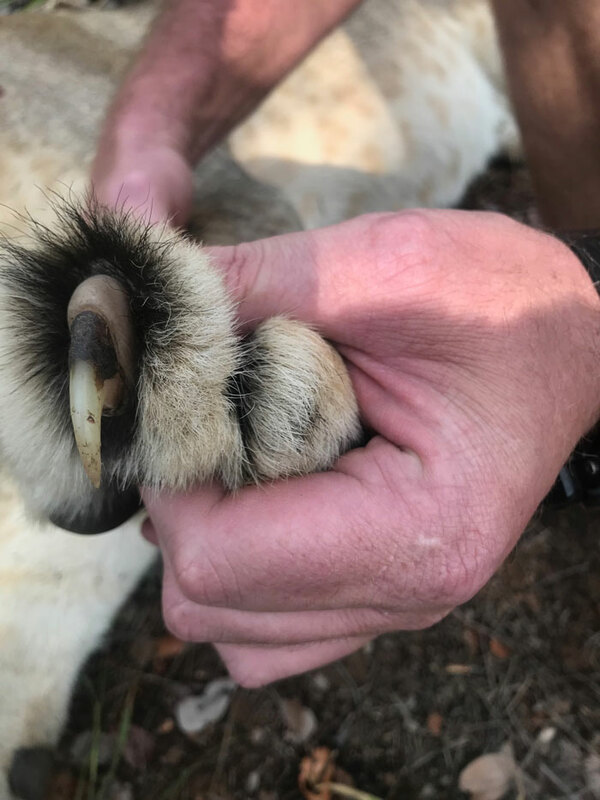 Dr. Dupreez showing us the claws of an 18-month-old male lion. ‍Dr. 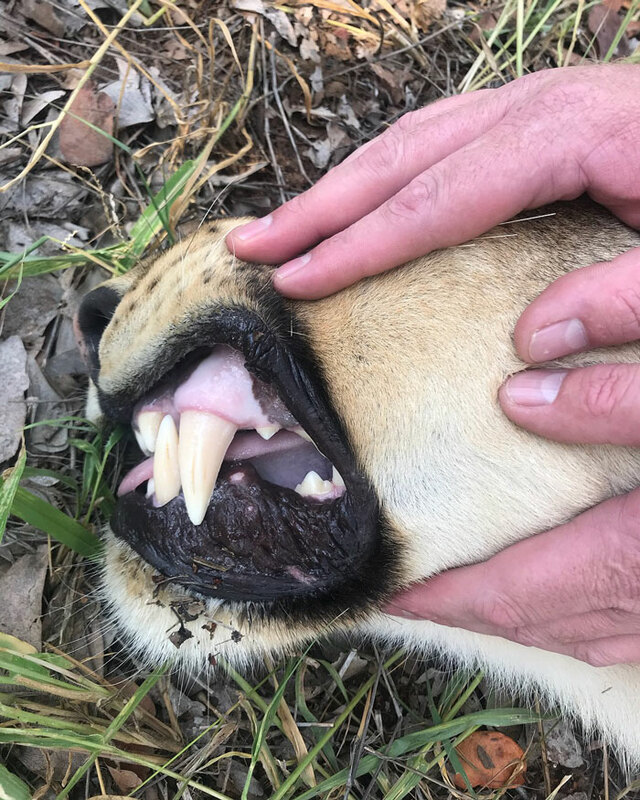 Dupreez showing us the teeth of an 18-month-old male lion. What kind of drugs are in the actual dart? It depends what species we work with. When we work with lions, it’s more your valiums and ketamines. For elephants, you use the same as antelope -- you use opioids -- very strong ones. And that’s the main drug, and then you can use some sedatives or tranquilizers with that -- we call that a knockdown drug. So you use the opioid to knock it down to the ground. And then afterward, you play with some tranquilizers and sedatives to control them out of sedation. ‍Dr. Dupreez measuring the area where he will administer the TB test. ‍Dr. Dupreez shaving the area where he will administer the TB test. How does a tuberculosis test work on a lion? 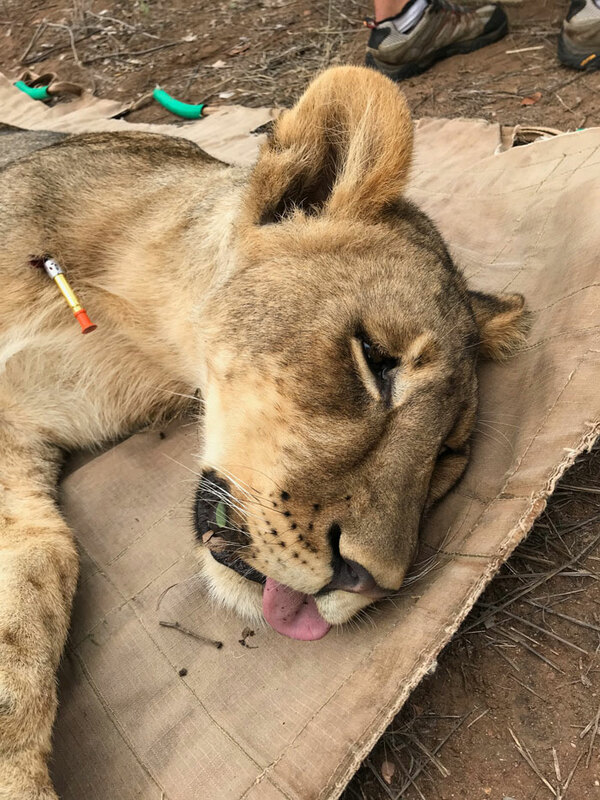 A tuberculosis test works much the same in lions as it does in humans – you inject the lion with a very small amount of inactive tuberculosis. If the animal is suffering from tuberculosis, it will already have built up antibodies and the immune system would be primed because of the disease itself. So if you give it a small dose of the inactivated or harmless disease, then it would overtly react to that and you would get a big skin reaction. If the animal is free of tuberculosis, however, its immune system would not be primed so you wouldn’t get a skin reaction. Just like in humans, it takes two to three days to get a result. ‍Asleep with its eyes wide open, this lion awaits its TB test. What do you do if you get a positive result? The problem with tuberculosis is that it’s not treatable. You can alleviate the symptoms… Antibiotics would just suppress it… In humans, they do treat it. But the animal form of the disease is almost impossible. ‍Dr. 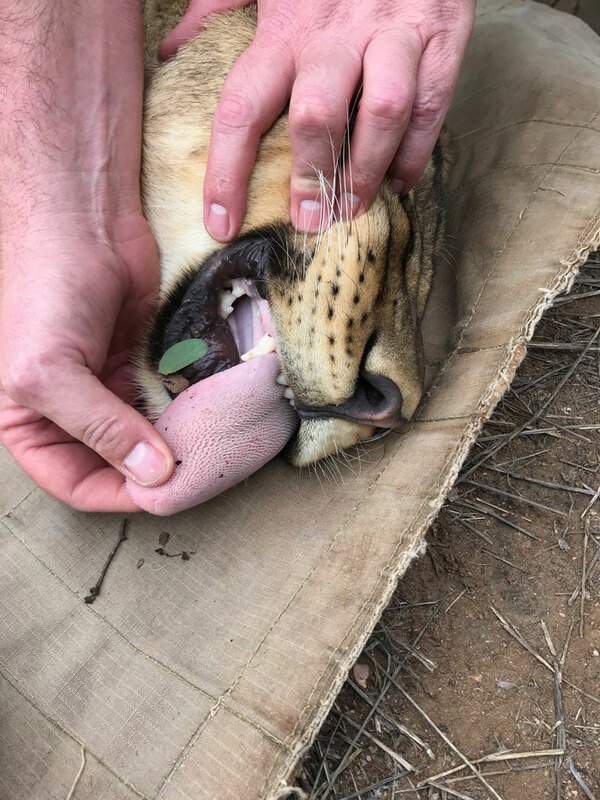 Dupreez shows us the lion’s tongue, which is sand paper-like in touch and covered in spiky barbs that the lion uses to get meat off of bones. What’s the purpose of testing it if you can’t treat it? We just want to see what the status of the population is because so many lions are positive and then also if one wants to in the future, bring in buffalo [to the nature reserve], for example, you want negative lions. You don’t want positive lions because it can jump species, as well. The predators give you a good idea of what’s going on as they sample a lot of the other animals for you. They actually ingest the organism. So if the predators are TB-free, there’s a good chance you don’t have a lot of animals suffering from the disease. What is the impact of TB on the lions? It’s a very chronic, very long disease that takes many years to build, but eventually it goes into their organs and they die… It’s an interesting disease, though, as it picks and chooses amongst herds. You won’t see a whole pride of lions, for example, fall to TB even though they’re sharing the same food supply. 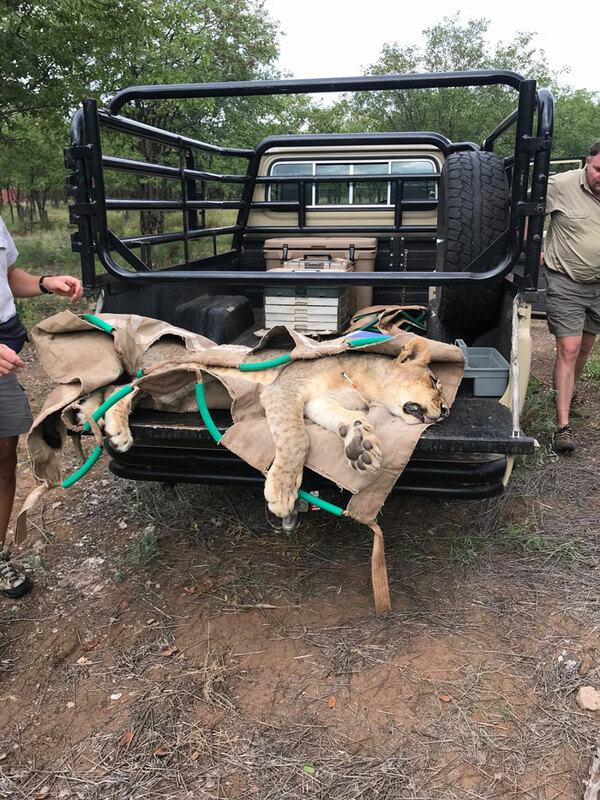 After three days of watching and waiting, the vet confirms that all the lions that were tested are thankfully TB free and ready to be released back to their wild lives.